Clemson University is an American, public, co-education university based in Clemson, South Carolina. In addition to being the second largest University in South Carolina, they also continually bring their A-game when it comes to social media. Honestly, go look at their Instagram. It’s a testament to how hard work does pay off; with 116k followers and envious audience engagement levels. Clemson do social media really well and there’s a lot to learn from their bright and clearly driven social media team. Video forms a big part of what they do. No surprise given that 45% of people watch more than an hour of Facebook or YouTube a week and one-third of all online activity is spent watching video (check out these Video Marketing Statistics). 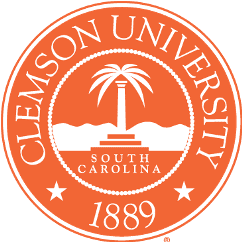 We wanted to take a look at some of the recent videos and campaigns by Clemson University to give you a flavor of some of their best and brightest ideas. Trust us, there’s a lot to be inspired by here! The week in 60 seconds: A regular feature which quickly rounds up the biggest events on campus from the previous week. Featured news includes a mix of sporting, educational and campus news. This is such a clever way to share news with your audience. Here is your chance to get caught up on what's happened this week in #Clemson! Summer Countdown: We know how hard it is to keep students engaged during the summer vacation months- summer melt is all too real! This clever countdown is just a simple way to get students excited about class starting back! Student of the week: Different students take over Instagram stories over on their Clemson students account for a week while giving insights into their path to Clemson as well as sharing their passions, interests, views and experiences. Student takeovers are taking over higher Ed social media in a big way and Clemson have embraced it whole-heartedly! Take a bow Clemson social team, you’re a beacon for school spirit and following your social media gives real insights into what it must be like to be a Clemson Tiger! TERMINALFOUR can help you manage your social media and digital marketing campaigns, why not take a look at some of our features here.